This entry was posted in Agriculture, Capacity Strengthening, CapDev, Kenya, PA, Presentation and tagged Christoph Spurk, Kenya, Radio, Zurich University of Applied Sciences by Paul Karaimu. Bookmark the permalink. Thank you for such good work. I am ever excited about working with radio stations (both national and local) to reach masses to change lives for the better. I would like to know the format and program layout used during the period. Thanks. A necessary study with some very interesting findings. Somewhat related is this blog post on the DRUSSA website about the role university radion stations could play in helping the ‘uptake of research’. 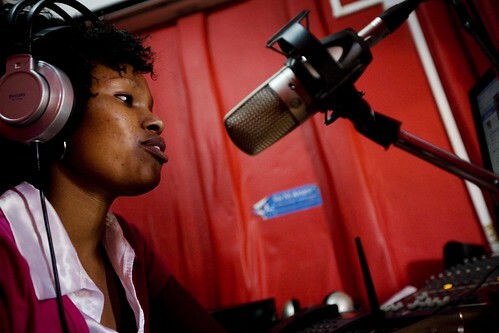 The findings of the 2012 study should help radio communicatiors better prepare their research pitch. Not only radio but also mobile phone services are used (recently e.g. there was a USAID-sponsored conference on the subject). However, the voice is a fleeting medium. More important would be computer access for rural farmers, however, unlike mobile access, where large parts of Africa just left out the landline phase of telephonas it developed in the “first” world, the mobile networks cannot (yet) provide enough bandwidth for computer communication (certainly not at prices smallholder farmers could afford). And another problem seems to be irregular electricity in many parts of Africa which again makes computer use a haphazard gamble). I think more investment needs to be pumped into getting African farmers onto reliable networks and giving them access to less volatile information pools.